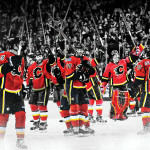 NEW YORK (Feb. 1, 2019) – Calgary Flames left wing Johnny Gaudreau, New York Islanders goaltender Robin Lehner and Chicago Blackhawksright wing Patrick Kane have been named the NHL’s “Three Stars” for the month of January. Lehner went 6-1-1 with a 1.73 goals-against average, .935 save percentage and one shutout in eight appearances to lift the Islanders (29-15-5, 63 points) to an 8-2-1 January and into first place in the Metropolitan Division. Lehner opened the month with three consecutive victories to extend his overall winning streak to eight games dating to Dec. 18 (1.45 GAA, .951 SV%, 1 SO), making him the fourth goaltender in franchise history to record such a run. In total, he yielded two or fewer goals in six of his eight January starts, highlighted by his 11th career shutout Jan. 20 vs. ANA (19 SV). 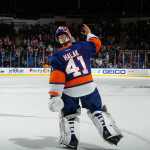 The 27-year-old Gothenburg, Sweden, native has played in 27 total contests this season (his first w/ NYI), topping the NHL with a 2.02 goals-against average and .931 save percentage to go along with a 15-7-4 record and three shutouts. Kane paced the NHL with 14 assists and 21 points (10 GP) to help the Blackhawks (18‑24-9, 45 points) earn points in six of their 10 January games (3-4-3). Kane found the scoresheet in all but his first outing of the month, finishing January on a nine-game point streak (7-14—21) and eight-game assist streak (6-14—20). He registered six total multi-point efforts, including five straight from Jan. 6-14 (4-9—13). Kane also matched a personal best with his second career five-point performance, compiling 2-3—5 Jan. 20 vs. WSH. The 30-year-old Buffalo native – who sits one point shy of 900 for his NHL career (341-558—899 in 872 GP) – ranks fifth in the League with 29-42—71 through 50 total contests this season. 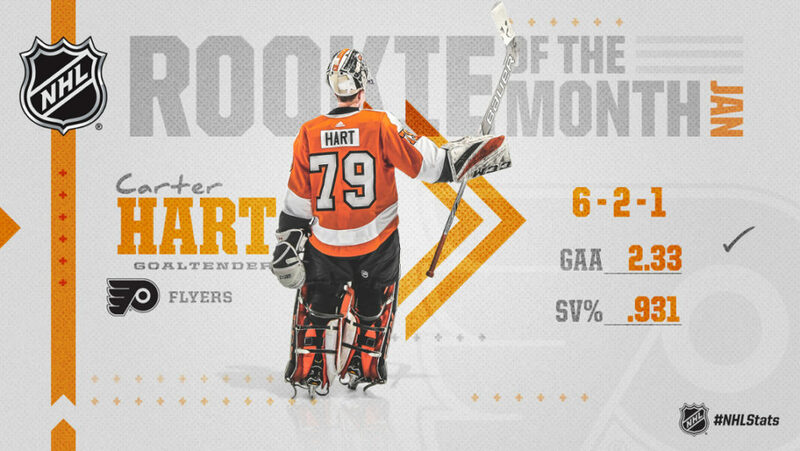 Philadelphia Flyers goaltender Carter Hart, who went 6-2-1 with a 2.33 goals-against average and .931 save percentage in nine appearances, has been named the NHL’s “Rookie of the Month” for January.